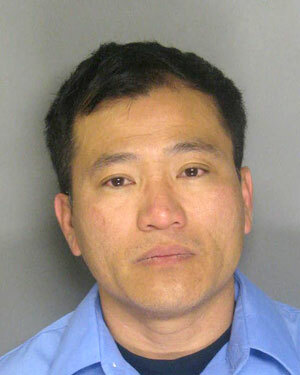 Sacramento Sheriff’s detectives arrested 41-year old Hao “Henry” NGUYEN for child molestation on Saturday. NGUYEN was booked into the Sacramento County Main Jail on one charge of committing a lewd act with a child, and one count of oral copulation with a child, and is being held on $1,200,000 bail. In February of 2011, a nine-year old female piano student reported that NGUYEN had sexually assaulted her during a piano lesson at NGUYEN’S business, Sacramento Piano, located in south Sacramento. During the course of the investigation, detectives learned that over the past five years, NGUYEN had provided piano and music lessons to approximately 150 students in the south Sacramento area. Detectives believe that there may be additional victims of similar incidents with this suspect. Anyone with information regarding Hao “Henry” NGUYEN and acts of this nature are asked to contact the Sacramento County Sheriff’s Child Abuse Bureau at (916) 874-5191. 1 comment to ''Piano Teacher Arrested for Child Molestation"
I have known this man for years and doubt that he would do anything that would harm a child.